Unforunately I have a ton of work to do and so I can't bother to create posts for albums until Friday afternoon...things are still being uploaded at a steady rate however and you can expect more than usual on Friday/Saturday. Also, the L. Voag post has been fixed, with the missing track and all the additional tracks that weren't there before. 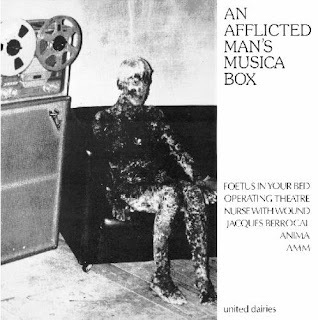 Anima, Foetus, AMM, Nurse With Wound, Berrocal, Operating Theatre...Again, what more is there to say? 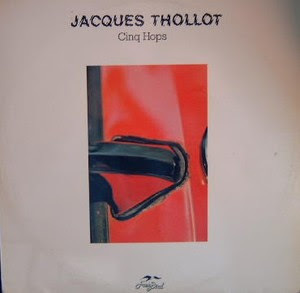 Brilliant jazz drummer that released a series of solo LP's in the 70's. 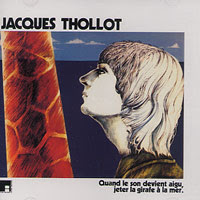 The main one of interest here to NWW List collectors is "Quand le Son Devient Aigu, Jeter la Girafe a la Mer", as it is the most experimental and electronic of them all, as well as being released on Futura records. The others are more straightforward and jazz influenced, but still not unworthy of hearing. Additionally, he's played with Sam Rivers, Sonny Sharrock, Don Cherry, Steve Lacy and other greats in the past. Information is hard to come by...Anyone have any other RAU LP's? This is a (bootleg?) collection of more or less all of Russolo's still surving works, and they're all original recordings as well (since none of his machines survive...). 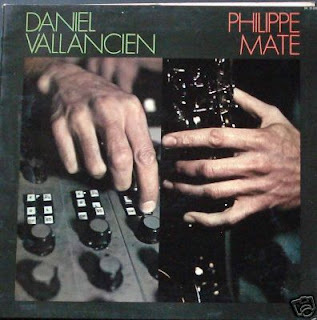 Barely over 20 minutes, but this is a nice little collection of arguably the very first experimental musician ever (sans maybe Erik Satie or the Second Viennese School)...So you don't have to buy 20 Dada/Futurist compilations! It should be that calling a piece of music "punk rock" is much more specific than calling it simply "punk"; after all, the former term clarifies that this isn't classical, isn't jazz, isn't koto music. Yet mostly, the basic punk concept--- "I don't _want_ to pay for no goddamn lessons first!" --- was and is a rock concept, and the punkiest-sounding, most defiant efforts in other genres are, in fact, devised by people who've spent thousands, even tens of thousands, of hours becoming fully masterful at the traditions they wish to subvert. And L. Voag, at first, was yet another primitive driven to rock, leading the punk band The Homosexuals. But it didn't take him more than a year or two to ask himself "why can't a beginner-level jazz bassist, a bad clarinetist, a bad gypsy-violinist, an enthusiastic fledgling drummer or two, and an incompetent but versatile singer like me make jazz music?". It was a good question, and to judge by the evidence of this Wayside Music disc, he must've answered something like "because it would sound cruddy. But that's what studio tricks are for! 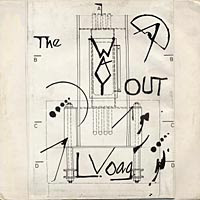 ".THE WAY OUT is a fairly quiet album anchored by thoroughly convincing, if simple, jazz bass and by quasi-jazz drums that are interesting because of miking oddities, weird artificial volume alterations, fake reverb or deadening applied for no more reason than "this sounds cool, eh? ", cut'n'paste rhythm, and unusual choices in percussion: from snare to cymbal to tuned triangles to bicycle-bell to hospital beeping sounds to detuned banjo hits to pioneering equivalents of rap-music "scratching". Soft drones and tremoloes of many heretofore nonexistent types join in, and so does folky acoustic guitar. Altered vocal samples from unknown media are presented for sound rather than articulation (I especially like how "Franco's Prayer" alternates sung a capella, line by line, with what a swarm of insects would sound like if instead of buzzing they were arguing about sports at incomprehensible speed). But even at its most clamorous, say "Boxing And Sparring With The First Dimension" or whichever song has tuneful females singing "Hatred of all things fair! Destruction of nice hairdos! ", every weird little element can be individually picked out, and plenty of songs allow tiny silences to crack their unpolished surfaces. Voag could quite possibly sing, but prefers to either squeak or intone like a Homer Simpson with less intellectual gravitas. It's entertaining that way, and this Mr. Science Blows Things Up Without Hurting Anybody approach to jazz does not require any previous appreciation for Miles Davis. Fortunately. Originally posted on Insect & Individual, but the link is long dead. "Long-awaited archival collaboration from 1982." The Doo-Dooettes, mainstays of the LAFMS, were: Dennis Duck (drums), Fredrik Nilsen (bass), Tom Recchion (home-made instruments: mock cello & strungaphone), with Rick Potts (guitar) and Haino (guitar). Keiji Haino was visiting LA shortly after the release of his first solo album on Pinakotheca Records and this impromptu session was recorded on August 3, 1982. The first ever release of this one thirty-five minute piece (titled by Recchion: "Blueprint For The Shimmering Quivers Of The Deep Purple Ultraviolet Tuning Fork"), recently discovered in the cassette collection of Dennis Duck, unheard for 18 years. Liner notes & cover artwork by Tom Recchion. Alternatively spelled (correctly or incorrectly) as Laurence Weiner, Lawrence Wiener, Laurence Wiener, etc...I have almost no info on this guy but I do know that this is one of the most interesting and puzzling sound-text compositions I've ever heard: The piece is continuous, ending on one side and restarting on the other. It consists of various people (mostly a woman and a man) spewing off various overlapped phrases (backed by a repetitive music box), most of which are very broad, general, undoubtedly metaphorical questions that could be applied to any part of life ("Is there justification for the mess?" "Does one collect when one passes go?" etc.) and various other responses that seem to be more like musings or additional information to these questions rather than real answers ("Niets Aan Verloren...Nothing to lose. Nothing gained, nothing lost...") But this is all so thick and complex that it takes several listens to really be able to hear everything going on throughout the whole thing. Just as puzzling as the structure and the purpose of the piece is the difference between each side - side B starts off exactly the same as side A and takes minutes to even become slightly different than the composition on side A, but ends being quite off kilter from the first side. It makes one wonder why the artist decided to create his piece in this fashion, as well as whether both sides are seperate compositions or just one long one. On the "Venus"-tape (1979) MB is offering a very successful example of a "détournant"-like abuse of original sound material not recorded by his own - transforming it into a piece of atavistic "concrete music"...: In this very case MB had taken a track from KRAFTWERKS "Autobahn"-LP (1974) and stripped it bare of all its original meaning by the use of tape manipulation, slow recording and endless reiteration of single fragments. The final product of this "reworking" leaves the original piece in a state of destruction - being smashed beyond recognition! The adopted piece - called "Mitternacht" (midnight) - originally lasts four minutes only and appears to be a tiny, somehow spooky composition on the KRAFTWERK-LP...: By electronic sound dots and distorted violin screeches it is setting to music the morbid charm of an impending "ghost hour". Well..., after the "treatment" by Maurizio Bianchi that peculiar atmosphere has totally vanished from the piece! Instead of that MB fragmentarily "mutilated" this sound model into a subdued roaring context of "INDUSTRY" - here the stream of noise is dragging itself along in a relentlessly throbbing manner, lasting circa twenty minutes, and therefore rendering the tiny spooky "Mitternacht " much more technocratic (hence more "kraftwerkic") than even Ralf Hütter and Florian Schneider themselves were able to achieve in their rather elegiac original version...!!! --- The last minutes of the A-Side on the "Venus"-tape are devoted to a second adaptation of KRAFTWERK-material...: This time MB chose the track "Radiosterne" (radio stars) from the "Radio-Activity"-LP (1975). He exposed it to a similar rough montage, using primitive loops of recurring seconds and stop-and-go-treatments at the tape machine, unless the piece seems to constantly start and collapse at the very same time. The final result of this "operation" causes the cold cosmic remoteness of the original "Radiosterne" to drown into a staccato of mechanistic stuttering...!!! --- The B-Side of "Venus", however, is presenting no more reworking of "foreign" material, but some dim anti-noises of a repetitive nature that seemed to have been created and recorded by MB himself ... - these peculiar sounds already showed some obvious hints into the direction of a VORTEX-LIKE SOUND SMELTING that was to become the characteristic "trademark" of the later vinyl products by Maurizio Bianchi. In contrast to that, the "Cease To Exist"-cassette (1979 / 80) featured subdued but nevertheless forceful tape loops consisting of concrete, mostly distorted voice- and sound-material... - a concept that, by the very first listen, reminds one of the unapproachable, enigmatic-complicated harmonies and dissonances on the first long player of BOYD RICE . Here again MB stepped into a psychic nightfall - something that cannot be considered "sane" on a long-term basis but rather leads to the effect of "steeling yourself" within sickness...!!! The forth tape - "Velours" (1980) - continued the experiments of "Cease To Exist" by directing them into the realms of an again stringent "Musique Concrète"...: This was achieved by the use of sound loops of simple piano-accords, percussion-sequences or the throbbing of a rhythm machine garnished with an overlay of noise-streaks --- Altogether this tape is no exception in the sequels of "derangements " that were always present in MBs output as "SACHER-PELZ" - obviously these early "sound carvings" were nothing else but a successful blueprint of the forthcoming "NOISE EMISSIONS" that Maurizio Bianchi produced and released between 1981 and 1984 using just his own name (or his initials MB). 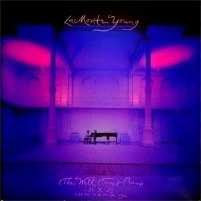 In this he set no compromises... - MB mostly achieved the most gutwrenching effects on his highly obscure records. 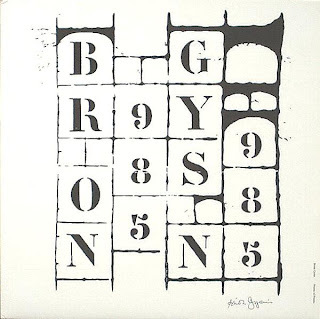 MB is the mysterious-autistic abbreviation of the name of an Italian "TONE CREATOR" from Milan, who - between 1979 and 1984 - recorded and released some highly obscure "music" that had actually gone far beyond that narrow term. Apart from these "initial influences" the NOISE COSMOS of MB became a totally unique, basically unmistakable (but often hard to swallow) "brand of sonic austerity" that is simultaneously able to activate and atomise all kinds of neurosis, disgruntlement and depression within the mind of the listener of MBs records. This effect is always achieved by an aural CUT in unfathomable chasms of psycho-neural privacy...!!! The "MUSIC" of MB (- going more and more astray from "musical definitions" the longer one is exposed to it -) is presenting itself without any (official) task to entertain... - but that goes not for those listeners who feel highly amused by the repetitive exorcism of monotony, dullness and boredom. As a matter of fact the soundscapes of Maurizio Bianchi are full of monotony, dullness and boredom, but without creating a boring, dulling or monotonous effect upon the listener. MBs pieces - often lasting twenty to thirty minutes in one go - are creeping into the ears and minds like a stream of lava slowly becoming cold. The recordings of MB might be loosely and historically associated with the field of "Industrial Music" - though you would neither do the MB-noises nor the term "Industrial Music" a big favour in assuming so. By the means of his uncouth and overcastted "Tonkunst", MB is performing an exorcism on daily frustrations... - ejecting it out of his soul and also out of the souls of the listener by adopting and incorporating a touch of the MACHINE-LIKE that is always to be found in his streaky, surging and meandering compositions within a darkened, evaporating form. Therefore a certain AURAL AURA is created that hardly reaches the body by the hearing apparatus but is directly perceived as a physical signal...: "A MUSIC THAT IS RATHER FELT THAN TO BE HEARD". "I can define my sound as physiological disinfestation. You can't use my noise as background, only as foreground. In my radical works I try to electrocute the listener, to gurgle his blood and to violate his nervous system. This is sadistic you may think; but it's resolute, determined and without compromise. I'm living in a decrepit society and the superstructures everywhere try to bend my creativity. I come out with violence as the listener unconsciously needs this harsh raw treatment to dispel his doubts about life and death. (...) I can't call my sounds music, but only feelings in a wall of sound. They're progressing only in the measure that the listener remains tormented by their power and feels the need to change his life in a less blind manner. (...) I think my work expresses the fear of the forthcoming totalitarianism in life, in death, in the mind, and in art. I want to stay in my corner without compromise and to continue my daily struggle against superstructures and social lobotomy." 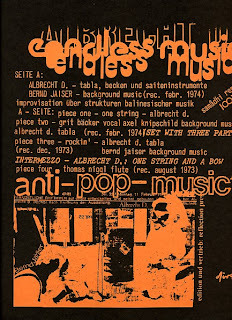 Maurizio Bianchi started his sonic "anti-art" in August 1979 under the pseudonym "SACHER-PELZ" by recording early sound experiments. 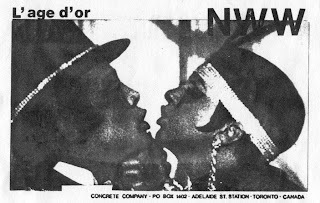 His self-produced audio tapes were then distributed by MB himself on his own label "Marquis-Tape" which only existed a few years. I have at hand the C60-tapes "Cainus", "Venus", "Cease To Exist" and "Velours"...; the entire output as "SACHER-PELZ" comprised - according to MB - six hours of recordings...; they were situated at the very brink of aural doom...!!! These four tapes (- with tiny dedications to such notorious people like Throbbing Gristle, Monte Cazazza, Marquis de Sade, Leopold von Sacher-Masoch, Charlie M. and his Family and Metabolist Device -) impress the listener - despite of a clear separation of titled pieces - by emitting an indiscriminate surge of dense and primitive "Musique Concrète "...; this goes without any academic pretentiousness in the fashion of Pierre Henry or Pierre Schaeffer. On these early tapes MB had already exercised his first etudes in grim inaccessibility...: By using monotony and dullness in a retrograde fashion to shape his sounds, an effect of negative hypnotism was achieved. This effect, however, was not at all suitable for entering a trance-like condition - it rather served as a means to expose and attack neurotic structures in the relentlessly bombarded mind of the listener - structures which were well known to MB as they seemed to be part of his psyche and should also be regarded as an important breeding ground for his creativity. These are nothing like later Bianchi works. In my opinion they're just about the most radical and important documents even loosely tied to the early Industrial scene (sans Throbbing Gristle or early Boyd Rice)...As the description says...this goes way beyond any kind of "music" and is not meant to be thought of as such. You might hate it the first couple listens, but once it sinks in, you'll thank yourself. Or maybe I'm just giving it too much credit. I dunno, decide for yourself. Cease to Exist was 1979-80 and I have no idea what the date is for Cainus. 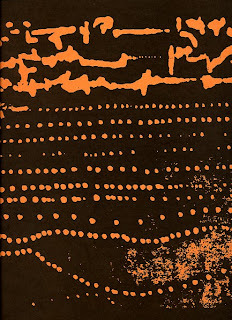 All four of his Sacher-Pelz tapes have been re-released as a set called "Mutation for a Continuity" (also credited as Sacher-Pelz) but I do not know if this is easy to find or even in print anymore. Anyone interested in more early M.B. tapes? Also, what happened to the brainwashed.com/axis site (where this info came from)? I used to have a (fan-made) link with a decent amount of info on Record Sluts and each of his three LP's, but I can't seem to find it now. Anyone know what I'm talking about? "What you really have to get hold of is the moving force, the rhythmic tension of rock. Especially the ecstatic element which is basic to all rock rhythms provides a mode of expression which you just can't do without. I think it's clear by now that free jazz is not all that free. The free jazz musicians just threw overboard everything which had been there before but then found themselves with relatively little left to make a fresh start. Only a few of them, for example, made any use of rhythm or really tried to play around with it." 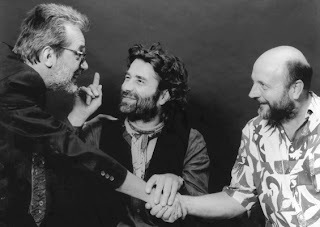 "When I started doing rock", remarked Pierre, "I noticed that there are really only a very few strokes which are played awfully cliché-like all over the world. That's why I have it almost up to here with the whole jazz-rock business. I try to get away from the usual rock clichés... The expression jazz-rock - that's crap." You tell them, Pierre. Interestingly, this music in many ways sounds more exploratory today than it did when new. That is a devastating, though not at all surprising, commentary on what has happened to music (and other arts) in the period since 1970. Pierre's words are more pertinent today than they were almost thirty years ago. Notes: The cassette sounds like a MB piece, over which William Bennett (Whitehouse) tells a story of a cannibalistic cult in Britain. The CDR was supposed to come out in an edition of 100 in RE's spoken word series, but Bennett threatened them with legal action if they proceeded. A few copies were shipped to people who had pre-ordered, though. Any help with the cover or other info? More M.B./Sacher-Pelz tapes to come! If you don't know what the dreamachine is/was, go google it now! Beyond the Black Crack was the concept of Reverend Dwight Frizzell, a musician, film maker, Doctor of Metaphysics and minister in the Universal Church of Life. It remains a little known classic, and one of the most unique listening experiences in modern experimental music. 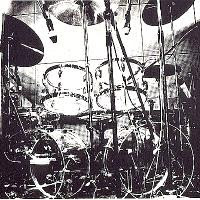 Recorded between 1974 and 1976 in locations as diverse as factories, the pyramid opposite Harry Truman's grave site as well as more 'conventional' concert settings. Beyond the Black Crack is a dark, dizzying and exhilarating journey through free jazz, electronics and environmental sound, all shattered by Frizzell's radical tape editing. 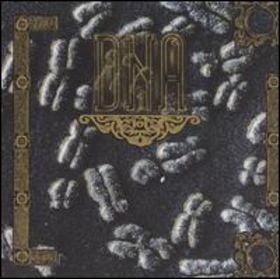 This CD re-release adds further material to the original LP: - "The Wandering Madness of Basilea", a suite from 1977 unheard until now, as well as unreleased material from the Black Crack sessions. Beyond the black crack was originally released in mono in an edition of 200 copies by Cavern Custom in 1976 (cat. no. 6104-12), to commemorate the First Annual End of the World Celebration, November 18 1976. Kurt Eckhardt - mouth flute, percussion, pins, soy, alteration. 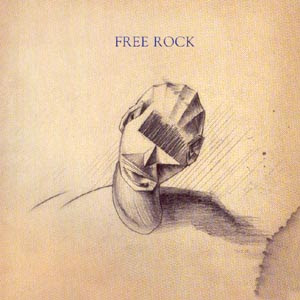 1980 great and mysterious experimental effort from Sally Timms (with her last name spelled backwards) of the Mekons, released on Pete Shelley's excellent Groovy label (which only released two other records that I know of: Shelley's Sky Yen, and the Free Agents' £3. 33). 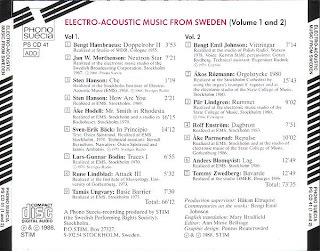 I believe Shelley was also involved with this LP, but except for "Smmit" and Lindsay Lee, the musicians are uncredited. I don't know anything about the film (if there actually was one), but the record is a classic of the UK DIY avant-underground, with primitive electronics, sound collages, wailing voices, dada-noise, and enough general weirdness / anti-rock / art-nonsense to justify its inclusion on the Nurse With Wound "influences" list, and to bring a smile to the face of any obscurist who's run out of Homosexuals side-projects to buy. 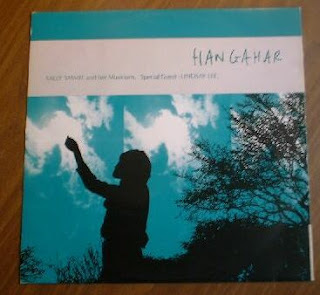 Sally Smmit and Her Musicians (1980) - Hangahar - This is The Mekons' Sally Timms like you've never heard her, long before she became the belle of skewed new wave-country music fans everywhere. 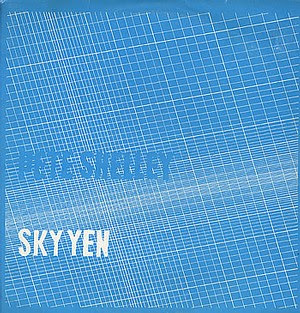 Released on the ridiculously short-lived Groovy label (Pete Shelley's label, which also released his now ultra-rare Sky Yen album), the album is two sidelong pieces of shambling post-Yoko Ono, post-Can jamitude. Undoubtedly an influence on Kraut-pranksters Damenbart. 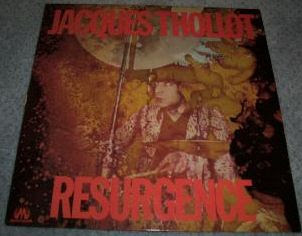 Vinyl 12 inch LP released in March 1980 in an edition of 1000. Recorded in March 1974 and performed on a purpose built oscillator. Long forgotten is the first solo release from Buzzcocks lead vocalist and songwriter. 'Sky Yen' was recorded six years before it was released for the purpose of supporting a film by Howard Devoto. The soundtrack was released by Shelley on his own label (Groovy records) during the time that Buzzcocks were becoming more angst ridden, abrasive and less 'pop'. This was a period when the band were experimenting with sound (Martin Hannett's 'tin' production on their final parts 1-3 singles) and concepts (shapes defining sides of singles rather than letters). The Groovy records label released very few recordings. 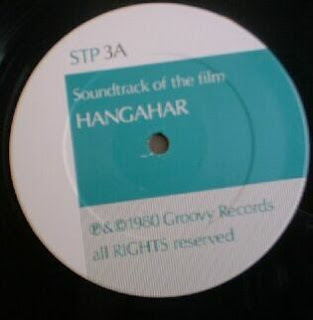 Those that came out included an LP '£3.33' (which was also the retail price) by 'Free Agents' (a loosely based group of musicians including Eric Random, Barry Adamson and Francis Cookson), a surrealist film soundtrack album called 'Hangahar' by Sally Smmit (Sally Timms) and Lindsay Lee, and 'Sky Yen' itself. The label operated in parallel with New Hormones records in central Manchester, UK, and was linked to the Secret Public (name given to Buzzcocks appreciation society and mail outs) whose staff and cohorts included Jon Savage and Linder Sterling (Ludus). 'Sky Yen' is one piece - split over two sides at 33rpm. The instrumentation is solely oscillator based with the device altering pitch and timbre throughout the recording. The modular sound often builds into layers. During the session listening to this record again, I've come to realise, even with the intense sound, that it is not a painful process, as the sound emitting gravitates between low and high end frequencies without any motivation for sonic weaponry on the agenda. Whether this was the idea, I'm not sure....but the production sound suggests otherwise. Sometimes the oscillations even produce rhythmical pulses which add new dimensions in places. However, that's not to suggest in any way that the piece develops a popular form. On the contrary, any anchors that seem to appear are quickly changed or drowned out by more oscillations. The composition remains in a state of flux throughout the duration. If there is one criticism about the record, it is that Shelley put too many twists and turns into the piece, often making it sound cluttered and wayward. It works better when the pace is slowed to allow resonances to develop. This happens mainly on side two. Comparisons with other artists would include John Cage and even Whitehouse, but having said that, the piece does remind myself of the more experimental elements of early Kraftwerk (i.e. Von Himmel Hoch) and Neu (opening 10 secs or so of 'Super 16'). Furthermore, it has been documented before that Shelley was appreciative of Can (see footnote). 'Sky Yen' also has a strong resemblance in sound and appearance, to the many stereo test records that were released in the 1970's to test bias and channel correction and phasing. 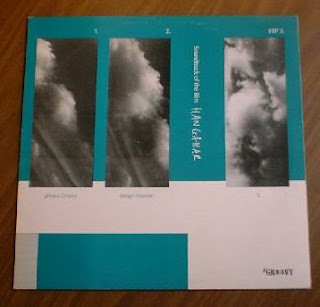 In fact, the infamous 'Hi-Fi sound' (Howland West) featuring the 'needle' sleeve (which Stereolab stole for the sleeve of one of their own records) was released in 1974 and was packaged in a similar coloured sky blue sleeve to 'Sky Yen'. 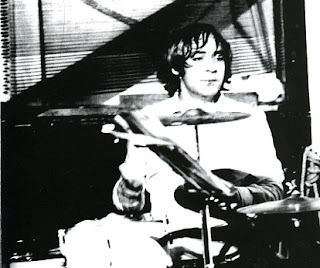 Pete Shelley was always interested in the future. I remember writing to him and receiving back a letter explaining in great detail how the ZX Spectrum computer code containing an earlier graphics idea similar to todays' windows media player was transposed onto the vinyl edition of his later album 'XL1' and the studio effort that went into making this possible. When 'Sky Yen' came out in 1980, Buzzcocks' fans spoke about whether Shelley had lost the plot. He hadn't of course and was only following a similar lineage (in a more low key way) to the likes of Lou Reed (Metal Machine Music) and David Bowie (Low)......pop stars alienating part of their audience. It's now thirty years since 'Sky Yen' was recorded and it's great to think that this 30 minute sound piece was composed by the same man that gave us the perfect 3 minute pop song. Though I really do appreciate the suggestions...If there's anything else you think I should be doing differently then let me know! Additional works by these composers can be found on ubu.com and other places. Not sure what was wrong, but everything seems to be better now! Albums should start coming up at a steady rate again. There haven't been any posts yesterday or today because I've been having trouble with rapidshare again and surprisingly also megaupload, but it's working better now. Hopefully some stuff will be up by tonight. Their only other LP, Divin, has already been posted in several places, including Mutant Sounds, so here's their first one only. That leaves only their one sided 7" "Today's Thrill" (also Vanity Records) being the only unavailable recording from their discography, which seems to be just about as rare as this one. Recorded June 25th, 1982, but released by Avant in Japan in 1993. Out of print as far as I know, and this is the only official live document of this No Wave band. One of the best works by one of the most important composers of the 20th century; unfortunately, copies usually go for over $500 now. Originally on Classical Connections, but the link's dead. In late 1960-1961, Dubuffet began experimenting with music and sound and made several recordings with the Danish painter Asger Jorn. The first tape produced in these circumstances is rather unusual as it is a poem, La fleur de barbe, which is declaimed, chanted and vaguely sung by several voices mixed together (which are all in fact mine) with occasional instrumental accompaniment. The subsequent recordings are the result of two diverging approaches which I hesitated between and which are probably both apparent in at least some pieces. The first was an attempt to produce music with, a very human touch, in other words, which expressed people's moods and their drives as well as the sounds, the general hubbub and the sonorous backdrop of our everyday lives, the noises to which we are so closely connected and, although we don't realize it, have probably endeared themselves to us and which we would be hard put to do without. There is an osmosis between this permanent music which carries us along and the music we ourselves express; they go together to form the specific music which can be considered as a human beings. Deep down I like to think of this music as music we make, in contrast to another very different music, which greatly stimulates my thoughts and which I call music we listen to. The latter is completely foreign to us and our natural tendencies; it is not human at all and could lead us to hear (or imagine) sounds which would be produced by the elements themselves, independent of human intervention. They would be as strange as what we might hear if we were to put our ear to some opening leading to a world other than our own or if we were to suddenly develop a new form of hearing with which we would become aware of a strange tumult that our senses had been unable to pick up and which might come from elements which were supposedly involved in silent action, such as humus decomposing, grass growing or minerals undergoing transformation. I should point out that in both these categories of music and even when I blend them into one and the same (never mind if this seems illogical), there is a clear preference for very composite sounds which appear to be formed by a great number of voices calling to mind distant murmurs, communities, hustle and bustle and hives of activity. I also have a preference for music without variations, not structured according to a particular system but unchanging, almost formless, as though the pieces had no beginning and no end but were simply extracts taken haphazardly from a ceaseless and ever-flowing score. I must admit that I find this idea very pleasing. This is seriously good stuff, and a must for all fans of free improv! Transmuseq was mainly a duo comprised of LaDonna Smith (viola, violin, voice) and Davey Williams (guitar). These two took improvisation where it had never went before, applying automatic writing and other surrealist techniques to their music, using extended techniques, and other forms of experimentation. 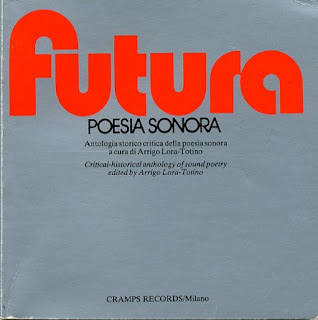 They were the ones who put out the periodical The Improvisor and have played with John Zorn, Ron Pates (of the NWW List), Andrea Centazzo (who plays percussion on this album), Jaap Blonk and others in the past. 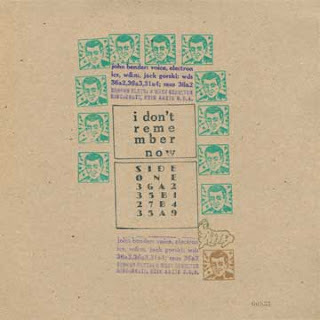 Mostly very rough, schizophrenic, and occasionally electronic, all of their records have a bit of Dadaist humor to them as well (with an occasional reference to Tristan Tzara or other dada artists). No promises, but if I ever get the proper equipment back together, I'll put up the rest of their discography (8+ LP's) sometime in the future. Rare collection of recordings from one of the most important artists involved with anti-records! 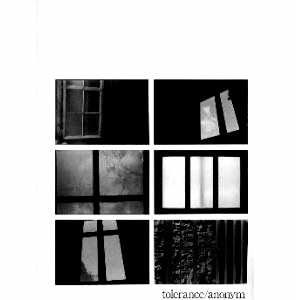 Compilation, contains excerpts of collaborations with Joseph Beuys and Genesis P-Orridge but is mostly solo work. Anything else seems to be impossible to find. Released by the legendary Italian label Alga Marghen, also home to releases by Anton Bruhin, Isidore Isou, Walter Marchetti and Charlemagne Palestine. Never reissued. T: Who produced the "Poem of Poems" through the tape recorder? The text in The Third Mind is ambiguous. Huxley about his mescaline experiences. 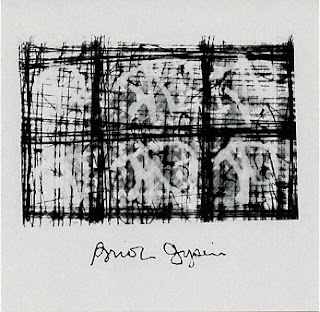 This collects some of Gysin's better known and more important works, as well as a few "interviews" and other pieces, some unreleased. Includes: I am That I am, Pistol Poem, Recalling All Active Agents, Junk is No Good Baby, No Poets Don't Own Words, etc. Nice little collection of one of the most important sound poetry artists of the last 50 years! Released by Perdition Plastics in '95. Just as promised! This is a compilation of Dieter Roth compositions, including excerpts from all three Roth, Ruhm & Weiner LP's, and some live stuff, among other things. 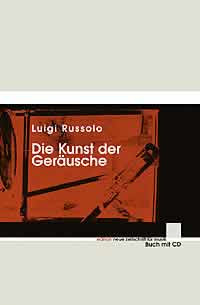 Provides further insight not only into Dieter Roth's musical activities, but also the trio he was involved in. Sorry, no cover. Gerhard Rühm was born in Vienna in 1930. He now lives at Cologne and teaches at the Hamburg Superior School of Art. In these pieces, Rühm imitates a lecturer who, while speaking, is continually interrupted by the censor; the public applauds with enthusiasm as if it was not aware of the manipulation. The six texts we present are lightning-fast phonic gags, with the exception of the last, "The Bird Paradise", and covers a wide range of the author's activities. "Gebet" (Prayer), 1954, is an example of vocal constellation. The succession of vowels "a, e, i, o, u" repeated in this order is wrapped up in consonants to the point of producing syllabic coordinations. The title refers to the meditative nature of the composition. "Hymne an Lesbierinnen" (Hymn to Lesbians), 1956-75, consists of a sound text in three parts, at first in 1956, only declaimed, later revised in a recording studio. The three parts of the basic text are arranged in different tonalities and also in reverse and then mixed together in a new simultaneous version. "Blätter" (Leaves), 1965-73, is an example of visual poetry translated phonically. The word "leaf" - like a leaf that, falling from a tree, flies about and changes shape - gradually changes in tone and timbre as a result of electronic manipulation. "Berührung" (Contact), 1965-73, is meant to be the sonic ideogram of a contact. The words "to touch", "touched", "to have touched" (in German, naturally) are resolved into their phonemes, to which is assigned, from time to time, a determinate duration of sound or of interval. The whole is arranged in the form of a canon in diminuendo, dynamically differentiated so as to create a close counterpoint. "Verkürzte zeitspanne mit melodischen extrakt (Abbreviated pause with melodic summary), 1973, is based on the word "now" (in German "jetzt") pronounced in moderate tone, a tone modified on repetition. A short final part describes the melodic curve of the text: the "e"s of the "jeutz"s are aligned to provide a different tonal scale. This text is the sonic translation of an earlier concrete poem. "The Bird of Paradise" (1975), was suggested by Robert Ashley's "She Was a Visitor" and by Charlie Parker's jazz piece of the same name. It is dedicated to Valie Export. From a mechanically repeated phrase depart single sounds which gradually forms inversions in a higher tone and interweave to form a succession of new sound combinations. Unexpectedly there emerges the phrase " the bird of Paradise is dying", which suggests the situation it indicates. One of the rarer NWW list items. Unique sound poetry mixed with manipulated voice experiments, improv piano and a few other odd bits. Part of Viennese Actionism, and possibly Fluxus related. It's not one of the best list items, but definitely one of the most interesting and it deserves to be heard nonetheless. My only complaint is that whoever ripped it did so rather sloppily, as windows error noises pop up in places, like on the Iskra album, but that doesn't happen for more than a track or two. Solo posts by Roth & Ruhm to come soon! 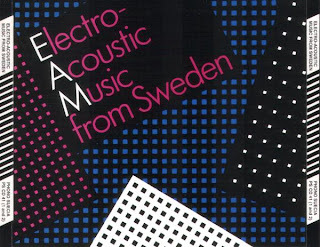 As it says, this is a blog dedicated to the sharing of hard to find and/or out of print (usually) experimental music that otherwise probably wouldn't be heard by most. Of course, contributions/requests are welcome! Also, this probably goes without saying, but just to be clear: if you feel that anything needs to be taken down, because it's either readily available or the owner does not want it shared...let me know in a comment and it will be done.